French bank BNP Paribas has made a series of senior appointments to its transaction banking team in Asia Pacific. 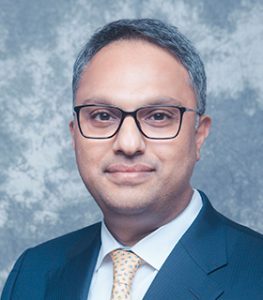 Mahesh Kini (pictured) joins as head of cash management for the region. He moves from Deutsche Bank, where he was most recently head of global transaction banking for China. During his time with the German bank he also held the roles of head of corporate cash management for Greater China and head of cash management for corporates, Asia. Kini joined Deutsche Bank from HSBC in 2007 and has also worked for ABN Amro, Bank of America and HDFC Bank in India. He is based in Singapore and reports to Chye Kin Wee, head of transaction banking for Asia Pacific. Zoran Lozevski is now BNP Paribas’ head of global trade solutions, Asia Pacific, also based in Singapore. He was most recently head of transaction banking for Australia and New Zealand for the bank. He joined BNP Paribas in 2007 from George Weston Foods Group. He is replaced in Australia by Michael Reid, who joins the bank from Citi and is based in Sydney. Louise Zhang has been named head of transaction banking for China, based in Shanghai. She joins from Deutsche Bank, where she spent 11 years, most recently as deputy general manager for the Shanghai branch, and head of cash products for the Greater China region. Zhang previously worked for HSBC in Hong Kong and Shanghai. She reports to Timothy Lee, who is the new head of transaction banking for Greater China. This role is based in Hong Kong. Lee will be responsible for connecting the bank’s China business with the rest of the Asia Pacific region. He has worked for BNP Paribas for five years, and joined from JP Morgan. Lee has also worked for HSBC, Citi and Deutsche Bank. “We are pleased to welcome so many senior hires to our existing, deep pool of talent. Their extensive experience will strengthen our position as a leading transaction banking business in the Asia Pacific region,” says Chye Kin Wee. The post BNP Paribas reshuffles Asia transaction banking team appeared first on Global Trade Review (GTR).